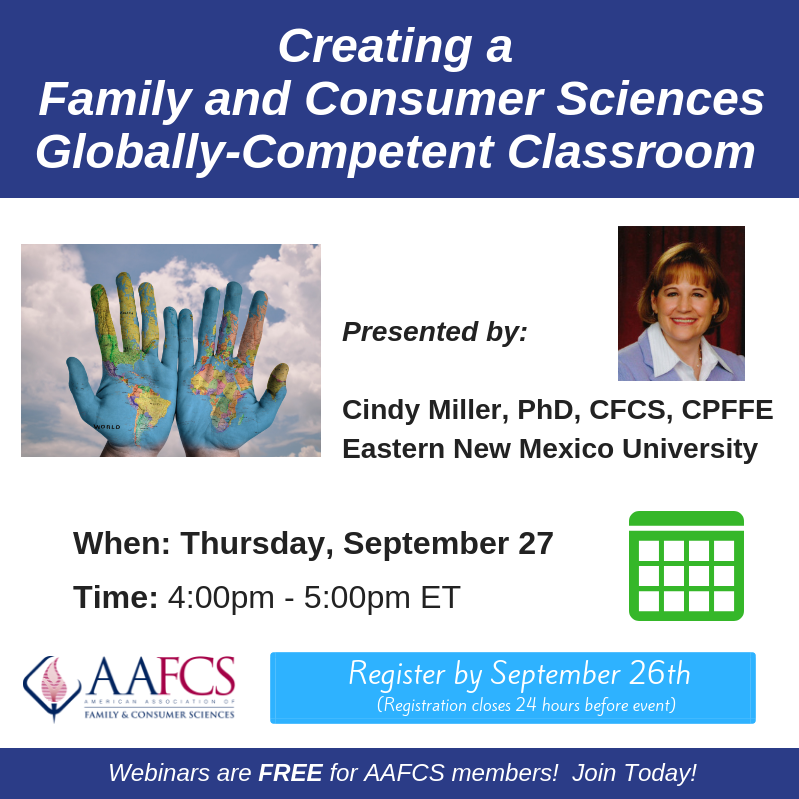 This webinar will demonstrate how to implement various globally-competent education activities and resources designed to help FCS educators integrate global competence into their curriculum. The resources include: sample projects ready to be used in FCS classrooms, global career planning resources, workforce readiness rubrics, crosswalks of global education and FCS standards, and more. Login: Members may register for the webinar through MyAAFCS. Access instructions will be sent to registered members 24 hours prior to the event.